51 When the days drew near for him to be taken up, he set his face to go to Jerusalem. 52 And he sent messengers ahead of him, who went and entered a village of the Samaritans, to make preparations for him. 53 But the people did not receive him, because his face was set towards Jerusalem. 54 And when his disciples James and John saw it, they said, “Lord, do you want us to tell fire to come down from heaven and consume them?” 55 But he turned and rebuked them. 56 And they went on to another village. I have resolved not to play FIFA 14 for the month of February. It is a Faith First February. 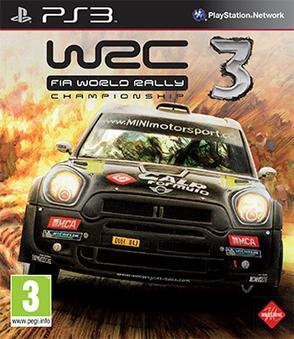 I put Daryl to bed yesterday and before he went to bed I told him he could watch me play World Rally Championship 3. I was driving a Ford Fiesta in Portugal and my gradual improvement in time pulled me in. Daryl fell asleep and I kept trying to improve my time. My resolve finally paid off when I placed high enough to unlock a race in Spain. When I carried Daryl up to bed and went to bed myself I was concerned about how I spent my time. Fortunately it was still before midnight, but computer games and video games can draw me in and I see a target that I want to beat so I keep at it until I succeed. I know many who play computer games with at least an equal resolve, but Jesus calls us to a resolve that is entirely wrapped in the Kingdom. Jesus is merciful to those who don’t get it. He does not destroy those who see his plans as attacking their ideologies or national identity. In northern Nigeria this week Muslim terrorists have burned schools and killed children because of their resolve. There are some Christians who would retaliate by calling down fire from heaven. However, Jesus does not turn aside from the road to Jerusalem. He does not turn aside from the road to sacrifice. Jesus is on the way, which is significant, when other would-be disciples offer to join him. Jesus wants to make it clear that the normal comforts of life are not guaranteed to those who commit their lives to The Way. This flies in the face of the prosperity gospel and those who peddle wealth, ease, and comfort. The way of Jesus is not marked by ease and comfort. He has just told his disciples that they must take up their cross and follow him, now he is walking the way to take his. There will be no cozy sleepovers. The second would-be disciple wants to bury his father. Those who are resolved to follow Jesus are resolved to leave all other commitments in the dust. Jesus emphasized this point when he told his followers that if they choose their father before him, they are not worthy of him (Luke 14). The last would-be disciple asks just to say good-bye to his family, but Jesus dismisses the lack of resolve. To be focused on anything other than God’s calling in our lives is to miss the point of living entirely. I do not believe this means we should abandon each other. However, the question from Jesus is, “Are you going to walk the way with me and resolve to never turn aside?” If the answer is, “Yes, but …” then you must move aside and let him leave you behind. Let me see more clearly how I must move ahead. You have called us to a life which leads to you. Let us lay everything else aside and walk resolutely toward Jerusalem, even if it means carrying a cross on the way. Why did the Samaritans reject Jesus? What did the disciples wish for the Samaritans but not the Jews? How does Jesus challenge the three would-be disciples? How resolute are you to walk with Jesus? What turns you aside from your path?